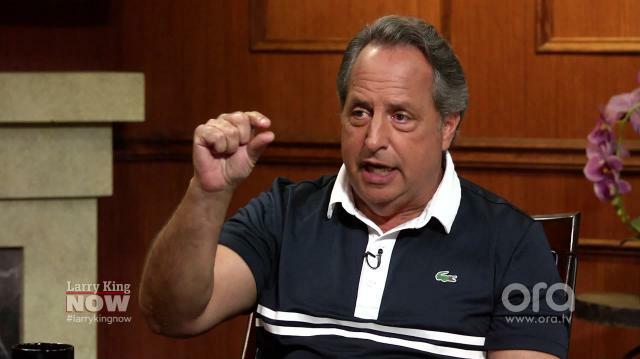 'SNL' alum and famed actor Jon Lovitz reveals the hilarious gag he played on world renowned billionaire Warren Buffett. Jon Lovitz says he's a "Kennedy Democrat"
Jon Lovitz: Trying to bribe him with a buck. Larry King: He’s a great guy too. Jon Lovitz: So regular, so nice. And I said, you know, “I know people with this much success you have,” and I go, “You’re so nice, you’re not arrogant at all.” Like zero. Jon Lovitz: And I mean he couldn’t have been nicer. And he was explaining to us in business, and he told me the secret to making a ton of money. Larry King: What’s the secret? Larry King: Watch new episodes of ‘Larry King Now’Monday,Wednesday, andFridayon demand on Ora TV and Hulu.